Turtle Dove Press, 9780988254602, 51pp. Have you ever thought about Mary of Nazareth when she was a little girl? She had a Mama and a Papa and liked to run and play and listen to stories and sing songs. What special things about Mary led God to choose her to be part of His important plan? 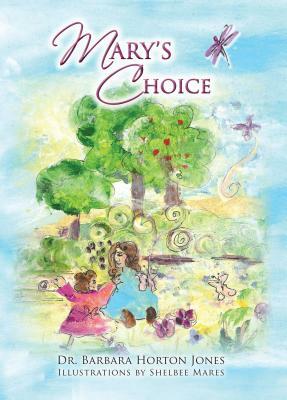 This delightfully winsome illustrated children's book shows how God loves and blesses Mary as she grows from a baby to a young woman, preparing to make a very special choice. It shows how God also has a plan for your life, blessing your talents"your intelligence, your creativity, and your own unique voice. Taking Mary from her birth to the shepherds visiting the new baby Jesus in the manger, the illustrations by internationally collected fine artist Shelbee Mares bring Mary's story to life with joyful color and whimsy, inviting young and old alike into Mary's world. Barbara Horton Jones was inspired to write this story after studying the biblical account of Mary, the Mother of Jesus. The insights she gained through the lens of her Christian faith, her training as a psychologist, and her experience as an elementary school teacher led her to imagine how young Mary becomes the person who grows up to be the Mother of Jesus. Dr. Jones believes that girls need to get the message early that God loves them, has a plan for their lives, and blesses their talents. She grew up in Missouri with a Presbyterian background, and has been blessed by belonging to several denominational and nondenominational churches in her adult years. An internationally collected artist, Shelbee Mares has represented Taos, New Mexico, in various festival competitions in addition to being published with the New York Graphic Society and Dina Fine Art. She has lovingly applied her talents to bring Mary's story to life with joyful color and whimsy, inviting children into Mary's world.